At a PLAN-Boulder County forum on November 10, 2014 about the history of the City of Boulder’s 55-foot building height limit, Ruth Wright, the leading spirit behind the measure, recounted that it passed narrowly due to critical student votes in a 1971 initiative election. Eighteen-year-olds had been enfranchised that summer by the United States Congress, she noted. Wright recalled that on Election Day she did not know whether the initiative had won until the returns were reported from two precincts near the Boulder Public Library with a heavy student presence. The 1971 city election also brought substantial change to the City Council, Wright said. Twenty-three candidates ran for the council and only one of the five incumbents won—John Buechner (who for a time served as president of the University of Colorado). The other successful candidates—Karen Padget, Tim Fuller, Pen Tate, and Ken Wright (Ruth’s husband)—were much more cautious about further development in the city than their predecessors had been. Wright said, however, that in that election a ballot measure to limit the population of Boulder to 100,000, which was initiated by Zero Population Growth, failed. She contended that the City Council had subverted it by passing an ordinance shortly before the election that contained some vague statements about population limits. The height limit election was hard-fought, Wright recollected. A well-funded, business-oriented group called the Boulder Coalition was formed to oppose the initiative. It ran numerous advertisements in the Daily Camera, including a special eight-page supplement, against the height limit. The Daily Camera and most City Council members opposed the measure. 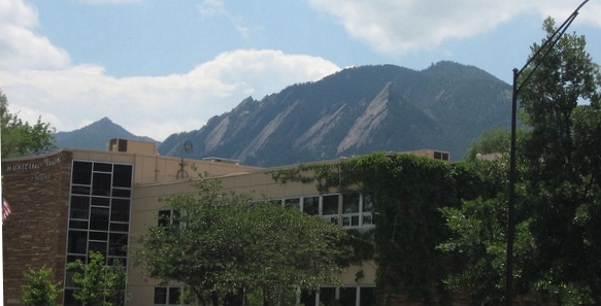 All of the architects in Boulder, except for one, Jim Marsden, resisted a 55 foot limit. 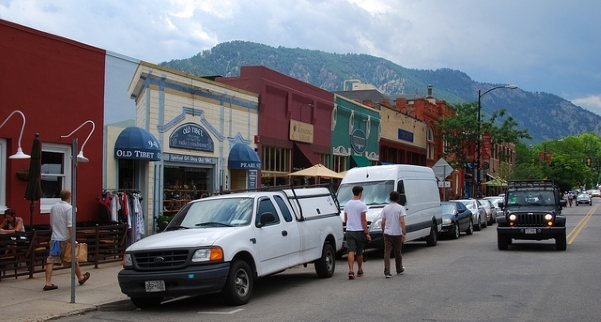 However, the Colorado Daily, the Town and Country Review, the University of Colorado student government, and most downtown merchants (who feared they would be displaced if more skyscrapers arose downtown) supported the limit. A series of proposals were made to develop high-rise buildings at 6th Street and Canyon Boulevard, where the Boulder County Justice Center now sits, and on property owned by John Cohagen along Arapahoe Avenue between Folsom and 28th Street, where the Arapahoe Village shopping center is currently located. A committee of prominent architects proposed 300-foot tall buildings downtown, 200-foot tall buildings in some areas, and 100-foot tall buildings in other areas. In 1970, Cohagen and architect/ planner Carl Worthington presented plans for a “super block” downtown that would have contained a 300-foot tall and a 100-foot tall building. Part of the impetus for these proposals, Wright said, was the economic decline of downtown Boulder, and a corresponding supposition among some that “skyscrapers” were needed to revive it. (Wright recounted that a group called Boulder Tomorrow, which apparently has no relation to the current pro-development organization called Boulder Tomorrow, was started in 1966 by former city manager Ted Tedesco, Joe Stepanek, Sr., former mayor Bob Knecht and others to resuscitate the downtown.) Wright also speculated that the egotism of developers, architects, and owners also drove much of the mania. “High-rise buildings were a status symbol,” she asserted. These proposals provoked a reaction from many observers, including even city planning director Bill Lamont and the Boulder fire chief, who contended that the city’s firefighting equipment could only reach to 70 feet. In August, 1970, the Town and Country Review, which had been recently started by Jim Johnson, published a clip-out ballot asking whether its readers wanted a 100-foot height limit, a 50-foot height limit, or no more higher buildings. Hundreds of people returned the ballots, and the majority chose the no more option. In the face of this controversy, the city government largely dithered, Wright indicated. Through various maneuvers, it blocked most of the proposals. The council adopted an interim height ordinance that was extended, and appointed a blue-ribbon commission to recommend a resolution. Finally, on September 2, 1971, the council passed an ordinance creating a 140-foot height limit. Wright said that she dived into the controversy in 1970 by writing a paper for a law school seminar called “Law and the City Environment” about height limits for buildings. She studied every reported court decision in the United States concerning height limits and found that the courts generally upheld them. As part of the paper, she also drafted a potential height limit ordinance for Boulder. She said she picked 55 feet as the limit for several related reasons. She disclosed that she concluded that the height of the tallest trees in Boulder was 55 feet and that buildings which were elevated above them would block views of the mountain backdrop. She also said she wanted to allow five story buildings, which she determined would generally need 50 feet of height, and then she added five feet to allow a margin for error. She focused on five stories, because she found that they are common in various attractive cities she had visited, including Paris, Salzburg, Austria, and San Francisco. She also said that 55-foot tall buildings can be served by hydraulic elevators, which are more energy-efficient than electric elevators. Wright said that well after the 1971 election, Dana Crawford, who is widely credited with preserving a celebrated block of Larimer Street in Denver, advised her that Boulder’s height limit initiative probably saved the historic buildings in downtown Boulder from destruction. Crawford opined that the profit developers could make from developing a 55 foot building would probably not have been sufficient to warrant the cost of buying and demolishing one or more of the existing buildings. (Of course, some time later the city adopted its historic preservation ordinance and designated most of the downtown as an historic preservation district). What do you think about Boulder’s height limits? Take the Blue Line poll and cast your vote. Please, one vote per person, city residents only. Previous Topic: The Guardian | If women built cities, what would our urban landscape look like? Who do you think Boulder's next mayor should be?